The 55th Regiment of Foot was a British Army infantry regiment which existed from 1755 to 1881. After 1782 it had a county designation added, becoming known as the 55th (Westmorland) Regiment of Foot. or simply the Westmorland Regiment. The 55th ceased to exist as a separate regiment when it was amalgamated into The Border Regiment in 1881 as part of widespread army reforms. 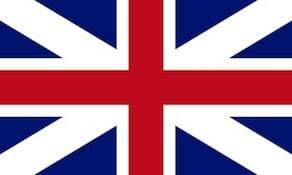 The regiment was raised in Stirling, Scotland in 1755. George Perry, Esqr. was appointed Colonel, his commission being dated 25 December 1755. Originally ranked as the 57th Regiment of Foot, the regiment was re-ranked as the 55th in 1757 following the disbandment of the 50th and 51st Regiments. The regiment saw active service overseas in North America and participated in the French and Indian War, arriving in North America in 1757. The regiment arrived in Nova Scotia on 8 July 1757 to take part in the abandoned attack on the Fortress Louisbourg. During the voyage Colonel Perry died, in September Lord George Augustus Viscount Howe was appointed Colonel of the regiment. In November of that same year, the 55th arrived in Albany, New York. It was during this time that Lord Howe accompanied Major Robert Rogers, commander of His Majesty’s Independent Companies of Rangers on a scout, to learn the art of “bush fighting.” Lord Howe’s willingness to learn from the American rangers and his interaction with subordinates won him the respect of both colonist and British redcoat being described as the “Idol of the army.” In the spring of 1758, Howe began to train and accoutre the men in the 55th more like rangers to better adapt them to warfare in America. One person said of Lord Howe’s innovations that he has made the men of the 55th “almost as dexterious as the rangers.” The regiment became the example for the whole of General James Aberbromby’s army that was to assembling to attack the French fort at Ticonderoga. In July of 1758, a flotila of 15000 men sailed up Lake George en route to Ticonderoga. At the onset of the battle Lord Howe was killed. His death proved to be more than the army of Abercromby could bear, several writers commented on Lord Howe’s death in regards to the effect it had on the morale of the army. Without Howe, Abercromby was at a loss as to what to do and decided to attack the fort without bringing up the artillery, a decision that would prove costly and lead to the defeat of his army. After Lord Howe’s death John Prideaux was appointed commander of the regiment though he did not arrive in North America until the following spring. Upon his arrival, he was detached to command the forces bound for Fort Niagara, while the 55th again participated in the successful attacks on Ticonderoga and Crown Point. In an unfortunate accident Prideaux was killed by the blast of a cohorn while walking through the entrenchments during the siege of Fort Niagara. The 55th meanwhile a part of General Jeffery Amherst’s army participated in the capture of forts Ticonderoga and Crown Point, halting at Crown Point to construct a new, larger fortification. As the warm months were coming to an end the regiment moved south to winter quarters around Albany. The following year, 1760 Colonel James Adolphus Oughton took command of the regiment and the 55th travelled to Oswego, where General Jeffery Amherst was assembling his army to attack the last stronghold in French Canada, Montreal. En route they defeated the French at La Gallete (present day Ogdensburgh, NY) and Fort Levis, and then further up the St. Lawrence River they went to witness the fall of Montreal to the British. Following the conclusion of hostilities the 55th garrisoned several frontier outposts in New York including Crown Point, Fort Ontario, and Fort Brewerton. In 1762 William Gansell became the colonel of the 55th Regiment. The 55th was sent to America for the second time to serve in the American Revolution. Notably, the regiment fought at the Battle of Brooklyn (1776), the Battle of Brandywine (1777). In 1778, the 55th was transferred to the West Indies. In 1782, County designations were given to many foot regiments and the 55th was designated the 55th, or Westmorland Regiment of Foot. The 55th served in the 1st Anglo-Chinese War (1840–42). The 55th arrived in China in 1841 and was selected as part of the expeditionary force that moved north from Hong Kong on the 20th of August. It participated in the Battle of Amoy on August 24. On October 1 the 55th was the first to land during the battle of Tinghai. They landed on a beach and then assaulted an enemy strong point called guards hill, where they ascended under heavy fire but eventually took the hill. They then proceeded to take the heights overlooking Tinghai and then immediately descended and placed their colours on the walls of the city. After the battle, a detachment of the 55th and 18th were left to garrison the city. On October 10, the 55th again was part of the force that engaged Qing troops at the battle of Chinhai where the regiment was left as the garrison after the battle. It remained in Chinhai for the remainder of the year. In 1842, the 55th saw action at Chapu in May, and ChinKiang Fu in July. They garrisoned ChinKiang Fu until the treaty of Nanking was signed. Part of the 55th remained in Hong Kong after the war. For its service during the war it was awarded with the addition of a dragon badge superscribed “China” on its Regimental Colour. A Chinese flag captured by the 55th at the battle of Tinghai can be seen in the Border Regiment Chapel in Kendal Parish Church, along with a pair of regimental colours used from 1786-1801. The 55th Foot saw active service in Turkey and Russia during the Crimean War. The regiment was awarded 3 battle honours to its Regimental Colour for service in the Crimea: The Alma, Inkerman, and Sevastopol. On 1 July 1881, as part of the Childers Reforms which removed the numbering of Regiments, the 55th (Westmorland) Regiment of Foot united with the 34th (Cumberland) Regiment of Foot to form The Border Regiment of which the former 55th formed the 2nd battalion. Through the process of amalgamation and restructuring of the Army, the lineage of the 55th Foot now rests with the 3rd Battalion of the Duke of Lancaster’s Regiment (King’s Lancashire and Border). The 18th century colours of the 55th are laid up at Kendal Parish Church.